Fool and Scholar Productions is the creative team of producer Travis Vengroff and writer K. A. Statz. Together they create works of audio fiction spanning genres from horror, to science fiction, and more. They have been creating audio drama podcasts and audio entertainment since 2014. Kaitlin Statz is the writer and creator of the White Vault. She has a BA in Anthropology from New College of Florida and a Masters in Archaeological Sciences from the University of Oxford. Her interest in history and lore stems from a place of cultural and scientific understanding. She is also an artist with a love of supernatural fiction, cartography, and archaeological illustration. She lives in Portland, Oregon with her husband and their rescue dog, Eezo. Travis Vengroff is the producer of the White Vault. With a strong tendency toward creativity, Travis attended the New York Film Academy, the Allegro Music Academy, and the Art Institute of Pittsburgh with bachelor’s degrees from the Universities of South Florida & Miskatonic. He has over 8 studio albums of audio editing experience and has toured the US and Europe as the frontman of Orlando’s #1 rock band. 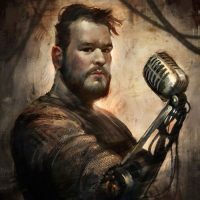 He’s also a video game voice actor, the manager of the most diverse comic book publisher in the world, and a regular contributor for the Russian magazine Mir Fantastiki. Travis lives in Portland, Oregon with his wife and their rescue dog, Eezo. 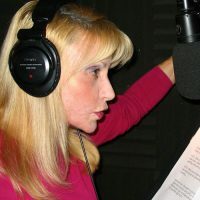 Lani Minella is a renown voice actress who has voiced over 500 video game titles, anime shows, cartoons, television shows, radio commercials, phone systems, audio books, car navigational systems, toys, and much more. She is best known for voicing Nancy Drew, Luke (Professor Layton), Wert and Adria (Diablo), Ivy (Soulcalibur), and Rouge the Bat (Sonic the Hedgehog). She can also be heard at Legoland and various Disney rides! Lani’s unique 4-octave range and finely-honed mimicry skills give her unparalleled vocal mastery. When not providing voices for Bethesda, Blizzard, or the dozens of projects she’s a part of, she can be found teaching vocal techniques, gardening, and spending time with her family of rescue pets. David Ault was first introduced to audio dramas though the Hitchhiker’s Guide to the Galaxy radio series, which he memorized as a child. Many years later, whilst looking for Time Lord-based audio drama he came across audio groups online and decided to try voice acting. In the fifteen years that have followed he’s played God, the Devil, and just about everything in between. 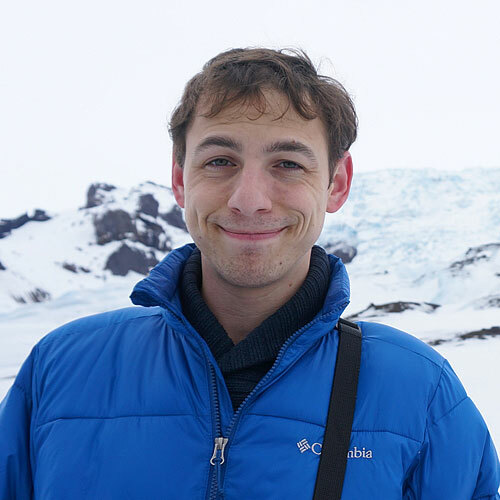 David has degrees in maths and astrophysics and is known as a storyteller, actor, science festival organizer, math, and science tutor, and an astronomy talker for hire. David’s love for ghost stories helped him discover and subsequently become a part of the NoSleep podcast, and in 2013 he won the inaugural Best Actor award at the Audioverse Awards for his role as Byron in The Byron Chronicles. David was also the lead in Colonial Radio Theatre’s presentations of Moonfleet and War of the Worlds. He co-hosts the Sonic Society, a weekly showcase of new audio drama, and can now be found on Audible narrating the works of Idries Shah. He lives in North Yorkshire with his husband, and can still quote the Hitch-hiker’s Guide. 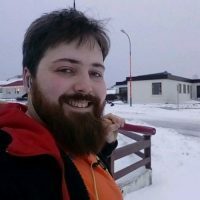 Peter Joseph Lewis is a voice actor and probable murder suspect who has gained infamy through his work on the NoSleep horror Podcast. When not portraying vicious monsters or serial killers with cannibalistic tendencies, he spends his time in a cabin deep somewhere near a Small Town just plotting, writing his own works of horror. Though none can be certain of his exact location, it’s believed that he lives near a desolate mountain pass littered with unmarked graves. Eyþór Viðarsson is a native-born Icelander from the island Vestmannaeyjar, just off the south coast of Iceland. After moving to the capital for higher education, he quickly discovered his love for podcasts, audio plays, and the art voice acting. 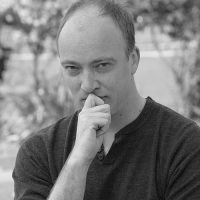 After reading for a couple of background voices in the Liberty: Critical Research podcast, he was approached by the directors and given a main voice in their new horror audio play, The White Vault. He lives in Reykjavik. Kessi Riliniki is a visual artist, voice actor, and caretaker of bunny rabbits from Bavaria. It was in the beautiful Bavarian countryside that Kessi developed a certain toughness of character that can only be found in the old Grimm fairy tales. 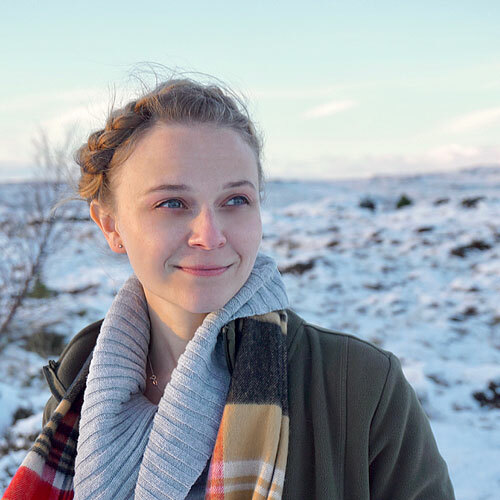 On long hikes in the woods and mountains Kessi discovered a love for art and began listening to podcasts on these journeys. Since then, Kessi has created the cover artwork for the White Vault, in addition to other shows, including Subject: Found, Small Town Horror, Aural Tradition, A Scottish Podcast, and Station Blue, to name a few. 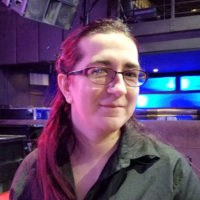 Kessi is a moderator of the Audio Drama Production Podcast group and began voice acting with the premiere of The White Vault. Kessi lives in Northrhine Westfalia with a small pack of bunny rabbits. 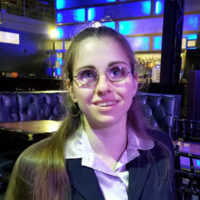 Hem Cleveland is a proud UK-based nerd who spends her nights playing RPG’s and recording them for the podcast – The Lucky Die. As a Game Master she creates improvised story while simultaneously voicing every non-player character in their world. 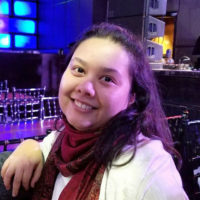 While she can also be found in a number of other roleplaying podcasts and Twitch games, Hem has more recently begun a focus in voice acting. She enjoys puns, eggspecially egg puns, and lives in England. Brandon Strader is an accomplished musician and composer/arranger from West Virginia. 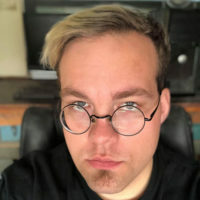 Strader is an active member of numerous online communities such as Dwelling of Duels, theshizz, and up until recently was a regular contributor to OC Remix with a number of highly regarded albums to his name. When not mixing audio for The White Vault, Liberty, Anasi Storytime, or any number of music projects, he’s cooking, playing video games, or surviving a live action rendition of Five Nights at Freddy’s. Tanja Milojevic is a Serbia-American voice actress and one of the early adapters to the modern audio drama movement. She has brought many characters to life on dozens of shows including NoSleep, Organism, Ancestry, You Are Here, What’s The Frequency, Greater Boston, Edict Zero, Pulp-Pourri Theatre, A Scottish Podcast, LightningBolt Theater of the Mind, and The White Vault. Tanja lives in Boston with her friend and service dog Nabu. Pacific S. Obadiah is a freelance writer and multimedia editor who focuses on character-driven stories. 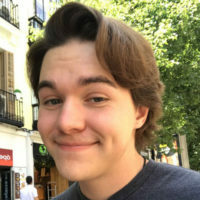 Born and raised in Denver, Colorado he discovered his love of audio drama while attending the Metropolitan State University of Denver. Pacific began with the creation of Lake Clarity and quickly branched out, writing and producing episodes for Liberty: Tales from the Tower, The Alexandria Archives, and producing episodes of the Creepy podcast as well as co-producing WV: Artifact. Between writing, producing, and acting Pacific has a deep passion for the arts, empowering those around him to become creators. The White Vault would not be possible without our Supporters on Patreon.